A Twitter storm is not best braved when your email's gone down (again) and there's no IT support because you can't afford any. One of the Welsh Books Council panel's questions last week in our interview for the next cultural periodicals funding round (2015-19) was about where day-to-day debate takes place on literary affairs. My reply was that it was on Twitter. So we should at least thank Wales Arts Review for igniting plenty of tweet heat this week about arts journalism funding, even though their approach these past days has been misleading, unprofessional and petulant. WAR's first unprofessional move was on Saturday morning, to breach confidence by announcing a grant offer from the Books Council prior to their releasing that information on Monday. Second was to pronounce that they were (petulantly) 'refusing' that offer and announcing the closure of the site, even though business, apparently, continued to be open to tweeting and they allowed WBC to release a press release announcing their offer to WAR the following Monday, without demanding that press release's correction or withdrawal. Does this suggest the play of smoke and mirrors in relation to WAR's apparent 'refusal' of grant? The third was WAR's misrepresentation of the WBC grant offer in relation to the one they currently hold, which is less than £2000. As @TheErasmo (Glyn Erasmus) noted, WAR received an offer which was 1176% of their current grant (£1700) after failing to get the 3235% grant they applied for and yet they cited £20,000 as being 'inadequate' and as grounds for immediate closure. Since they are an online magazine (with no heavyweight print and production costs and labour), lacking a proven consistent income stream, track record of business planning, employment and contracts and with little experience of handling big budgets and being accountable to major funders, it is difficult to see how their application for £50,00 could be justified. I wish WAR no ill; they have been responsive and provided touch points to a wide range of arts contacts through fortnightly coverage, especially in Cardiff and south Wales. But they haven't played fair this week and, despite appearing happy for their media story to be played out to a background buzz of disapproval about general arts cuts, have lacked generosity in offering sympathy to their fellow periodicals, print and online, who received genuine grant reductions which could destabilise livelihoods. 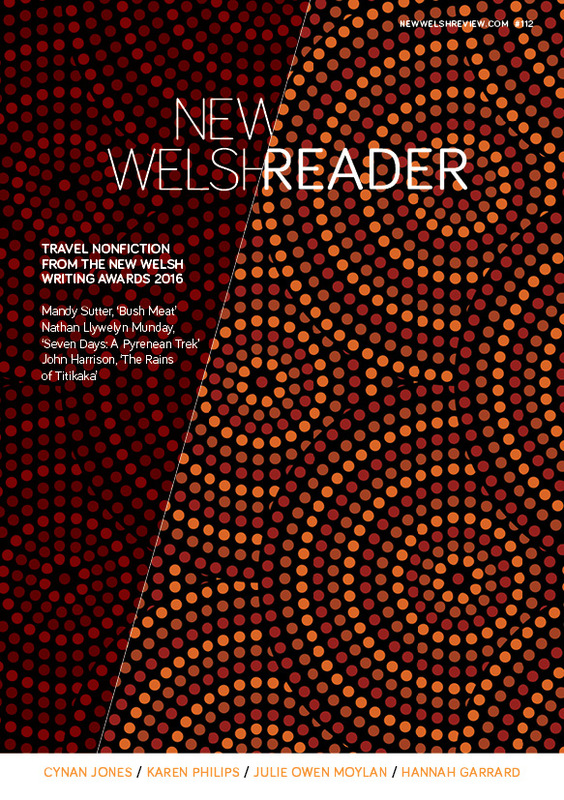 What has been ignored in the Twitter discussion is the main winner in this round, The Welsh Agenda & Click on Wales (under the IWA umbrella), whose grant goes up from £8000 for a brief literary supplement to £25,000 (hopefully for plans to extend both print and online coverage). Click on Wales is strong, lively and pitched to readers in the public-political arena: presumably their business plan, based on IWA membership, and case for expanding online reach was more compelling than that of WAR. The main loser in this round is Planet, whose grant goes down from £70,300 to £50,000. Although I did feel that the magazine's campaign this summer around the issue of limits to de minimus (state aid) funding came too late, it was the main victim of an artificial threshold placed by European Law in order to counter newspaper monopoly (Welsh language papers and journals only are exempted from this law in Wales). The law in relation to state aid limits the amount of public funding a news publication may receive to a number of Euros currently equivalent to just over the £50,000 maximum grants offered to Planet and New Welsh Review. News of this law was only shared with us by WBC this summer, weeks before the new funding guidelines were published. It must be very difficult indeed for Planet, at that stage managing on over £70,000, to be expected quite suddenly to reduce their funding to £55,000 (as the limit was implied to be when our funding bids went in this autumn) and then further again to £50,000 (since the Euro conversion rate this week reduced the threshold to £52,000). The whole issue of having to raise at least one third of our WBC grant in alternative income, especially sponsorship (since alternative public funding is ruled out by the de minimis rule) is another matter for another day. For ourselves, since the Cultural Periodicals Review Report, led by Tony Bianchi, identified in 2013 the likely sums, direction and need for sponsorship, we have since then being expecting a threshold of around £55,000 so while our grant cut of nearly £9000 looks bad, we have been getting ready for it. We have a strong base at Aberystwyth University, a pioneering multimedia programme which extends our scope into mentorship, increases resources, productivity and our contributors' budget, and a burgeoning writing Awards scheme, with sponsorship attached, which will help us further the magazine's reach. We also have exciting plans afoot for extending online curatorship so that in 2015-16 we will bring out twelve editions of NEW WELSH-related literary matter across epub book, review supplement and printed creative 'reader' formats. As is generally the case in Wales, we all seem to find it easier to fight among ourselves rather than offer a helping hand. When I started my first job, at Planet, in 1985, I had to deal with grouchy former readers of Y Faner who mistakenly blamed the magazine for taking funding away from that (then) historical, Welsh-language publication. A subscriber base, especially in these fickle times that prize instant gratification above long-term commitment, cannot survive repeated waves and ripples of long-past fall-outs, bickering and minor differences of emphasis. This is our culture. We are not perfect (but we do try to be professional). As readers we should commit anyway (and I mean paying up), or there will be nothing left to care about, online or anywhere else.